Have you ever put any thought into how much time and expertise goes into every component of your motorcycle? If you’ve been involved in a NH motorcycle crash related to a possible motorcycle design defect, you probably have – that is, when you’re not thinking about the money, time, and stress you’ve invested in healing from your injury. Read on for more information about motorcycle design defects and your rights. When you purchase a consumer product such as a motorcycle, you place your trust in the designer and manufacturer of the vehicle. You trust that the motorcycle has undergone a rigorous design process and intensive testing and that it is safe to operate. You trust that the manufacturer took good care in the design, manufacturing, and marketing of the product. Unfortunately, some manufacturers occasionally let bikes with defective or poorly designed parts go to market – and the consequences of a design defect can lead to a devastating crash or even death. Handlebars, fuel lines, brakes, and other crucial components of a motorcycle can cause instability or cause the vehicle to malfunction on the road. While some product defects can be less dangerous and simply inconvenient, others can be fatality-causing. In the worst cases, the motorcyclist could crash into another car or can be thrown off the bike, causing catastrophic injury. Lacerations, bruises, and broken bones are often only the beginning for motorcycle operators, who can face brain injury, paralysis, and even death. Manufactures who have released a vehicle with a defective part can attempt to inform customers via a motorcycle product recall, but you may not have heard about the recall before you take to the road. Or the manufacturer may not want to initiate a recall, but the National Highway Traffic Safety Administration may have ordered a recall to protect the safety of consumers. Recall remedies are in addition to, and separate from, other legal remedies you may wish to pursue. Ultimately, the liability for damages related to the injuries lies in the hands of the negligent party – the manufacturer who allowed shoddily or poorly designed or manufactured parts to be sold to motorcyclists. Healing from an injury can be time-consuming, painful, exhausting, and may feel like that’s all a motorcycle enthusiast can handle after an accident. From Doctor’s appointments, physical therapy, prescriptions, daily living and dealing with insurance companies – you may not feel up to dealing with the legal aspects of a product liability claim. The NH motorcycle injury lawyers at Tenn and Tenn, P.A. can make life easier by dealing with the legal side of things for you, and with you. If you wish to collect compensation for your injuries, you may need to file a New Hampshire product liability lawsuit with the help of an experienced NH motorcycle attorney. At Tenn And Tenn, P.A., we understand the stress and expense that can accompany a motorcycle accident – and the anger you may feel when you realize that the accident could have been prevented by a more scrupulous manufacturer. We encourage our clients to be fully informed about motorcycle safety and outstanding recalls. Let our injury lawyers fight for you and seek the compensation you deserve. Have motorcycle design defects put your life at risk? 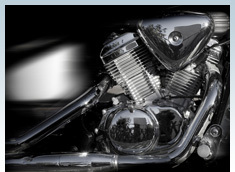 Contact an experienced New Hampshire motorcycle design defects attorney at Tenn And Tenn, P.A. immediately to help protect your rights. Our toll-free hotline is 1.888.511.1010. All consultations are free of charge and completely confidential.